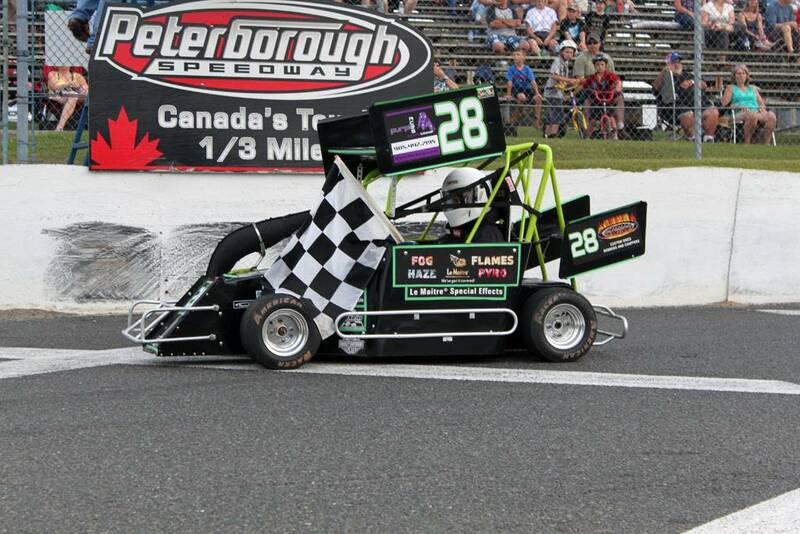 The hot summer weather provided the perfect back drop to some exciting Midas of Orangeville Midget racing at Peterborough Speedway this past weekend. Twenty eight of the best signed in for competition on Saturday, that would see Jamie Bound pick up his second feature win in as many weeks. The start of the feature was an exciting one as the #83 of Bound and the #84 of Richard Woodland would make contact sending the 84 to the infield and the #83 facing the wrong way on the track coming out of turn two. With 20 cars bearing down on them the drivers looked for a way around unfortunately some made it and some didn’t. Taking the wildest ride where rookies #13 of Craig Deacon, and the #69 of Wally Wilson, both would end up on their side and upside down. Thankfully all drivers involved were able to walk away and are hard at work to be ready for this weekends’ event at Sauble Speedway. When the racing resumed it would be the #5 of Jody Bound taking command of the field, but sitting in second place was one of the fastest cars the past couple of weeks the # 2 of Jessica James. On a lap 14 restart James would make her move and take command of the feature event and looked like she was set to record her second feature win of the season. 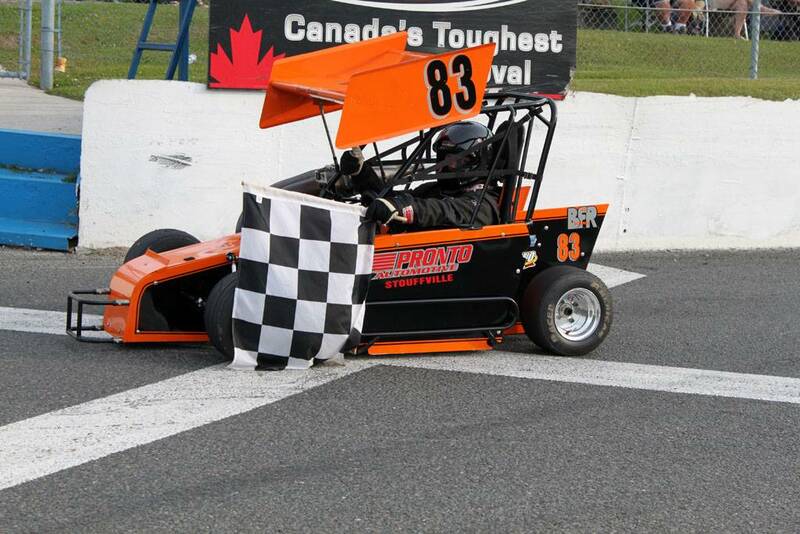 By this time the #83 of Bound had moved back to third place after restarting in last after the first lap accident. A caution of lap 18 looked like it had set up a 7 lap shoot out between the James and Bound, but as the field came around to take the white flag, the #2 of James pulled pit side with a blown motor. The #18 of Paul Drananoc had moved into second and tried to overtake Bound but had to settle for second place at the checkers with the # 62 Rob McCall rounding out the podium for the night. Heat race action earlier in the night provided some great racing action. 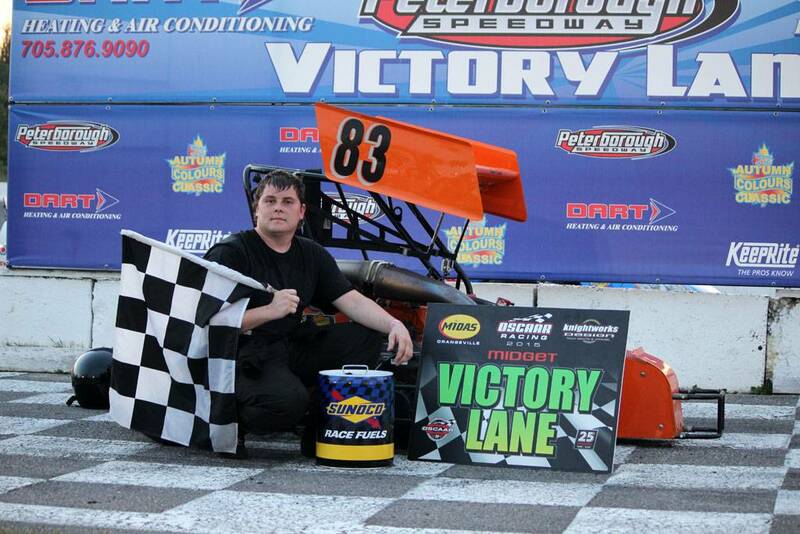 Heat #1 would see the #83 of Jamie Bound take advantage of his pole position to take the checker flag. Heat #2 would see a great display of driving as 12th starting Jessica James would take the win in 10 short laps. When heat race #3 rolled out Jessica was on pole and easily picked up her second win on the night. Not to be out done, Jamie Bound would pick up the win in heat race #4, designating him as the top qualifier of the night. 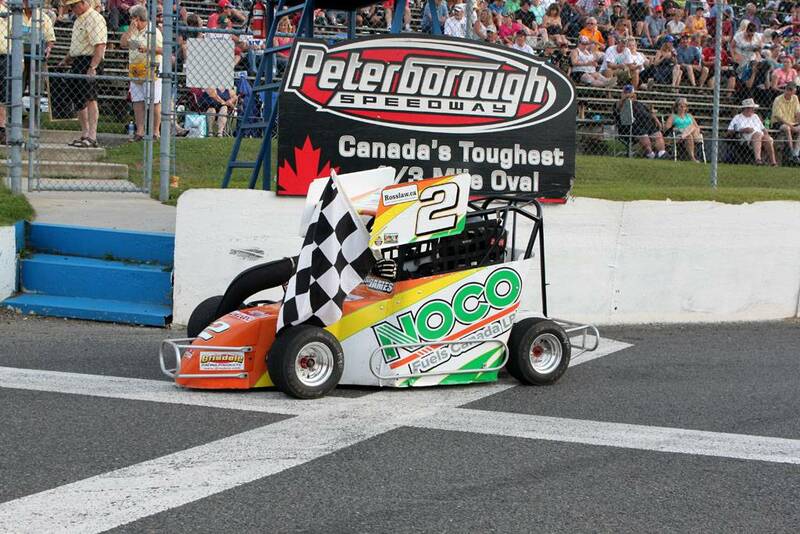 As the midsummer racing season is in full effect the midget teams will be loading up to head to Sauble Speedway on July 25th where they will be joined by the Mods and Outlaws for a complete OSCAAR racing night for the fans.